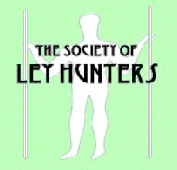 Over the history of ley hunting, especially in recent times, one of the major arguments has been over evolved sites. Is the siting of mediaeval churches on alignments evidence for a continuity of the tradition of alignment into Christian times? Or, were the sites themselves evolved individually without the builders understanding the interrelationships that existed? This is an important point. If it could be shown that the tradition continued into historically recent times it would no longer be necessary to use one of the most unsatisfactory arguments in the case for leys. This is that, beneath almost all of our mediaeval churches, exist the remains of prehistoric sacred monuments, evidence of site evolution. There can be little doubt that such evidence does exist, but it is almost impossible to prove, and in the twisted logic of many ley detractors, lack of hard proof equates to lack of leys perse. Some totally prehistoric, "contemporary" alignments do exist, the classic example being the Devils Arrows/Thornborough Henges ley so carefully avoided by the producers of "The Strange Affair of " What would help the case for a continued tradition is a "contemporary" mediaeval line. The best example that I can find is the alignment in York that I have dubbed The Corridor of Sanctity. York's eleventh century Minster and the Norman Castle, Clifford's Tower, are the major sacred and secular buildings of the city. The best vantage point to view the most prominent features of their alignment is the main central tower of the Minster to which the public normally have easy though somewhat strenuous access. Sadly the recent Minster fire and subsequent restoration have temporarily cut this access off completely. Nevertheless from this high point a unique view can be obtained towards the south-east where five of the six main features can be captured photographically superimposed. I know of no other ley which is so visually commanding. The best way to walk the ley is from its southern most point - the spit of land between the rivers Foss and Ouse at their junction - St. George's Field, once Templar land. Patrick McFadzean tell us in Northern Earth Mysteries 23 that at this point "... The brethren of the York Grand Lodge of Freemasons, in full regalia, laid the first stone of the New Walk bridge over the Foss, in 1767. Joseph Atkinson, S.G.W. of the Lodge, was the architect." From this geomantically favoured 'yin' spot between the rivers, the ley walker must start along the line by crossing St. George's Field, and the site of St. George's Chapel, a Templar building once owned by the Preceptory of Copmanthorpe nearby. The first and most obviously man-made feature at this end of the alignment is the 'yang' mound of the Norman Castle, Clifford's Tower. The larger of two 'keeps' built astride the Ouse by William the Conqueror, this crumbling stone tower contains an eleventh century chapel. Looking toward the Minster from the top of the Tower, the view is almost as effective as that from the top of the Minster tower with all the major buildings of the ley lining up into a mass of white stone outlined by the red pantiles of York's famous roofscape. The first sacred building to be seen is the spire of the eleventh century St. Mary's Church - now the York Heritage Centre. It was to this refuge that a Jewish woman is said to have fled during an anti-Jewish 'program' in the twelfth century. Several years ago this tale was featured in a television programme about hypnotic regression called "The Bloxham Tapes". Taken back to 'relive' a past life as the Jewish woman, an otherwise apparently ordinary woman described how she had fled Clifford's Tower, where all of York's Jewry were taking refuge and entered St. Mary's Church - after having presumably run along the line of our ley. Within the church a crypt or underground chamber had been her final hiding place but unfortunately the mob discovered her and she was put to death. At the time of this regressed account (see More Lives Than One? By Jeffrey Iverson, Pan 1977) no 'crypt' was known at St. Mary's, but during the work undertaken to convert the redundant church into the Heritage Centre the chamber was found - impressive proof of the effectiveness of some hypnotic re-gression perhaps, or at least a corroborative 'folk memory' of a 'pathway' from Clifford's Tower to St. Mary's Church. Beyond St. Mary's the next major building on the 'optimum line' of the alignment is All Saints Pavement, a fifteenth century church on the site of eleventh and seventh century predecessors. Between the two churches however is the recent Viking dig with its 80 foot deep sixth century well, off the optimum line, but within the broader 'corridor of sanctity'. Although one would expect many wells within the city walls, one so deep at such an early period seems to be of some significance at least as a secondary feature. All Saints is the oldest known church foundation on the line and possibly in the city, other than the Minster itself. Ben Fernee describes All Saints situated as it is right by the Market Cross, as the "Omphalos of the city". Certainly it is right at the axis of the city, a fact reflected perhaps in the shape of its main architectural feature, the fine octagonal 'lantern' tower, within which a light was hung to guide travelers to the city through what was once the nearby forest. The church sits astride two parish boundaries, a fact recorded above the north door. It was the municipal church of York - forty-six of the city's mayors are buried there. Five hundred feet further on along the line is St. Samsons Church, a fourteenth century building, now a Senior Citizen's Centre. The main feature of the alignment is of course the Minster, St. Peter's Cathedral. Here the optimum line passes through the centre of the eleventh century tower at the crossing of the nave and transepts. The cathedral is thought to be positioned over or close to the seventh century Saxon Church whose site is unknown. However, the seventh century St. Cuthberts Well within the present crypt seems likely to have been beneath the Saxon Church, which must therefore have also been close to the line. As the second most important church in Christian Britain - and perhaps the most important to Celtic Christianity - York Minster has a long and detailed history too extensive to relate here. However, for ley enthusiasts and those of us of the Pagan persuasion it is likely that St. Cuthbert's Well is the centre of sanctity of this church, dating as it does to the Dark Ages (and therefore in all probability to pre-history). Nevertheless the optimum line of the alignment does not seem to pass through it, reinforcing the suggestion that the foundation of the ley is mediaeval rather than prehistoric. Yet even in this primary case it might be said that the evidence for the medieval foundation of leys is not conclusive. Examination of the line as a whole shows that at least one other site on it (All Saints) has a Saxon origin. Despite this, the case for a Saxon or earlier alignment is quite weak; the sum of one church, one church of unknown site and the junction of two rivers does not equal a ley. The possibility does exist however that the mediaeval buildings were sited to enhance an existing alignment.